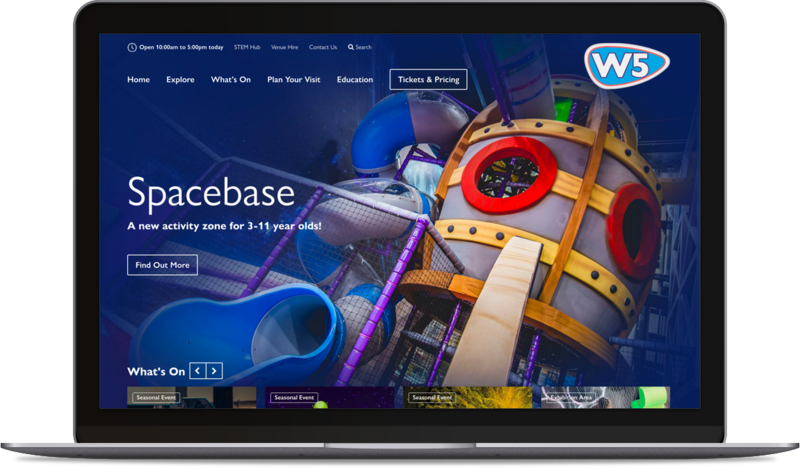 Eyekiller successfully tendered for the creation of a pioneering website for W5, the award-winning Interactive Discovery Centre. 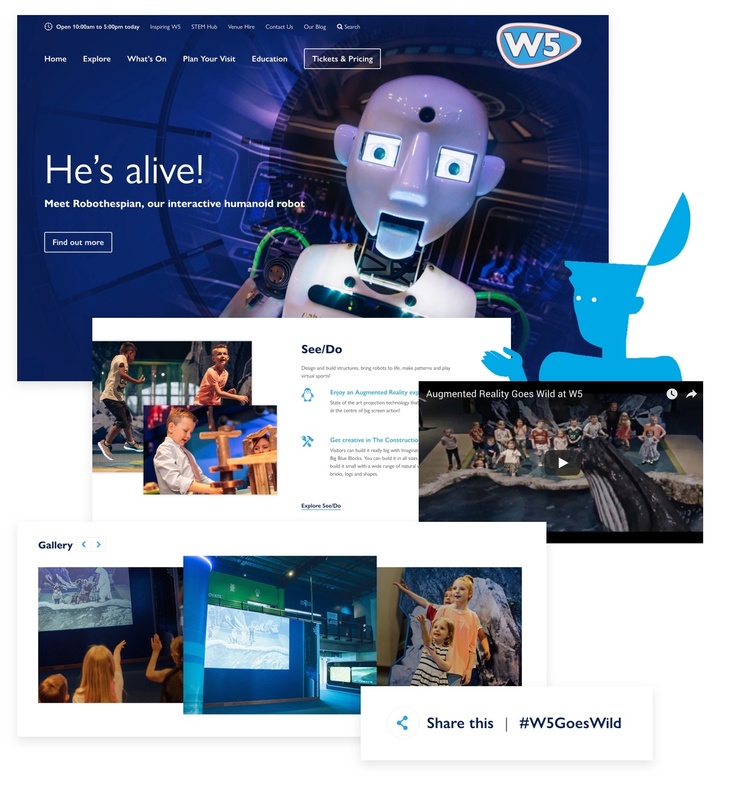 W5 wished to replicate online the stimulating experience of visiting the attraction, as well as increase brand awareness. 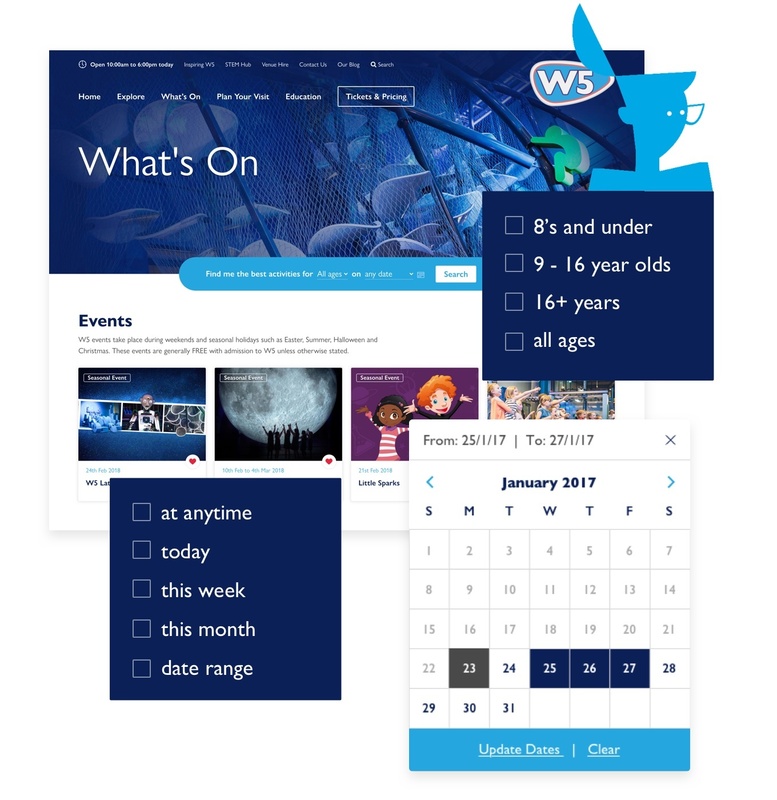 W5 were eager to increase awareness of their visitor attraction, and wanted to showcase the interactive exhibits and events. 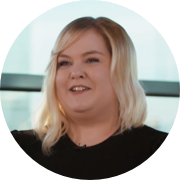 Central to the brief was introducing a seamless online booking process, as well as implementing new revenue-driving services. 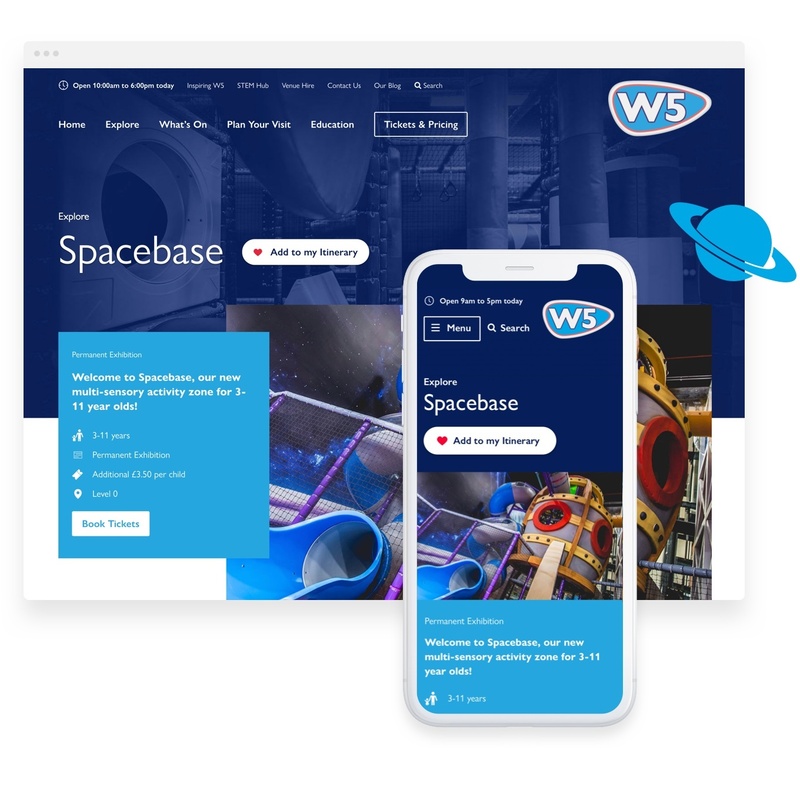 Our research showed that the majority of users accessed W5’s website from their phones or tablets, so we designed the User Experience (UX) around those preferences. Having launched the website, we now carry out routine re-testing to identify further opportunities to drive more sales. 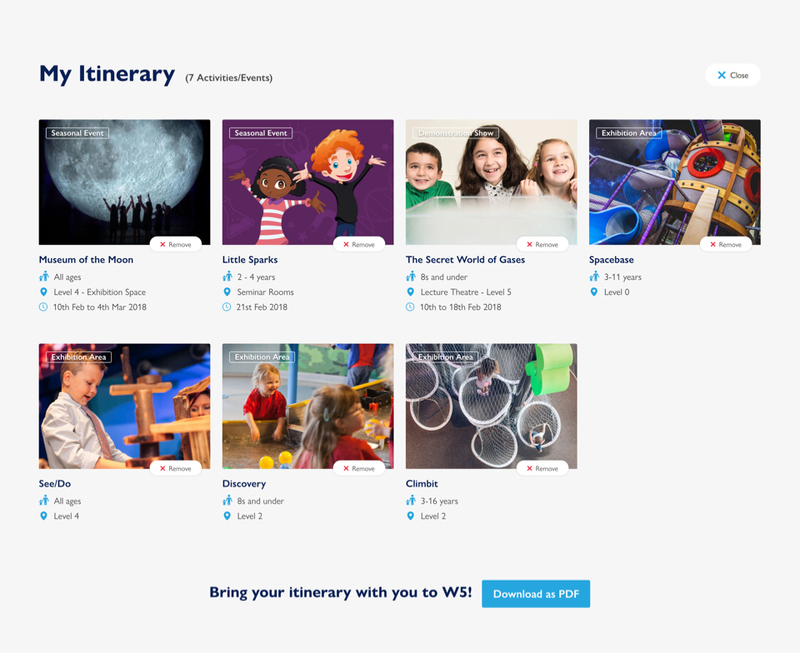 Our approach was to reference the interactive nature of the attraction via dynamic design, personalised itineraries, and a warm, welcoming look and feel. 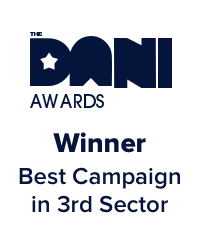 We also improved site load speed and provided customised online booking. 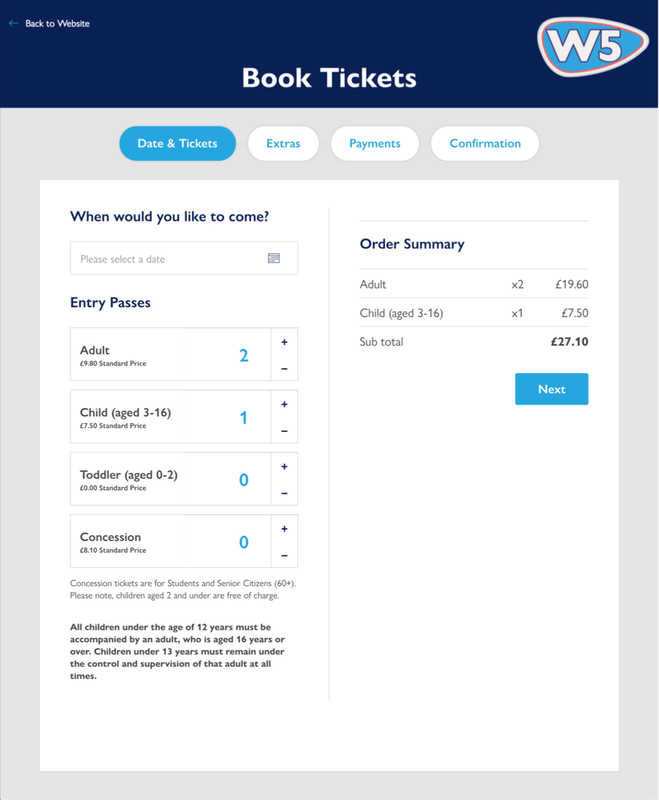 The new website boasts an intuitive and efficient booking engine that seamlessly integrates with the existing legacy system. 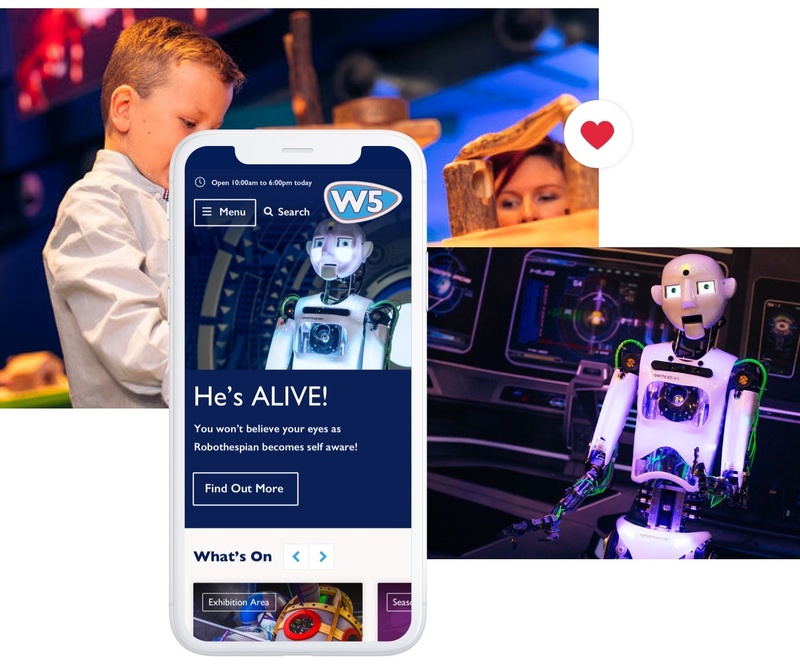 W5 personnel are thrilled with the range of ways in which the audience can engage directly, to share their experiences and become advocates of the attraction.